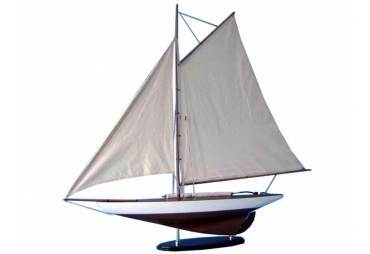 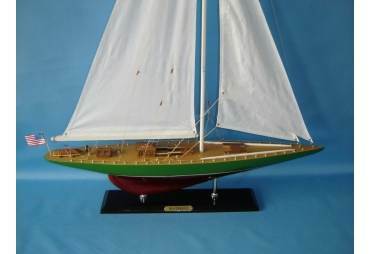 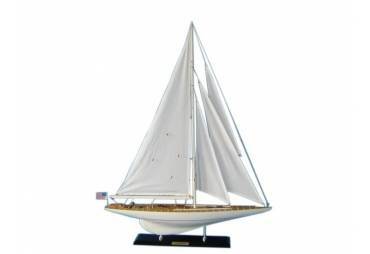 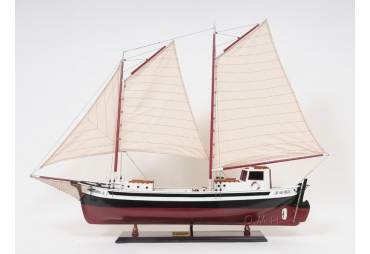 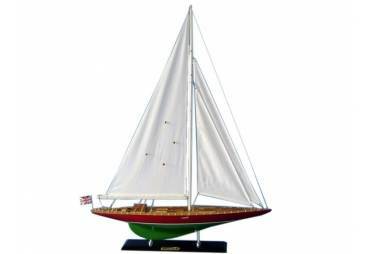 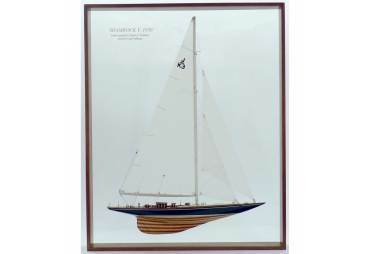 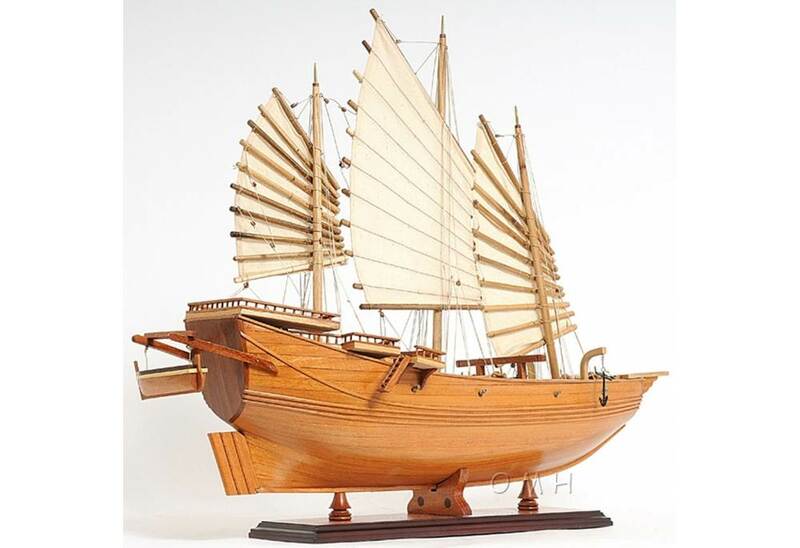 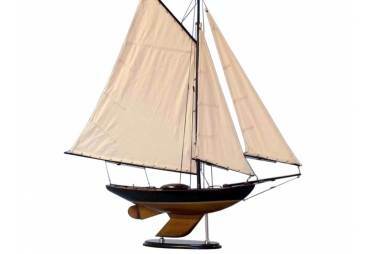 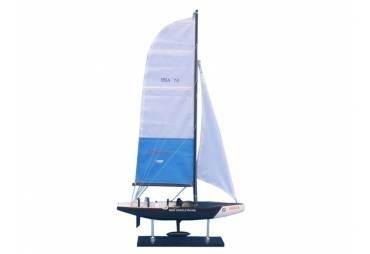 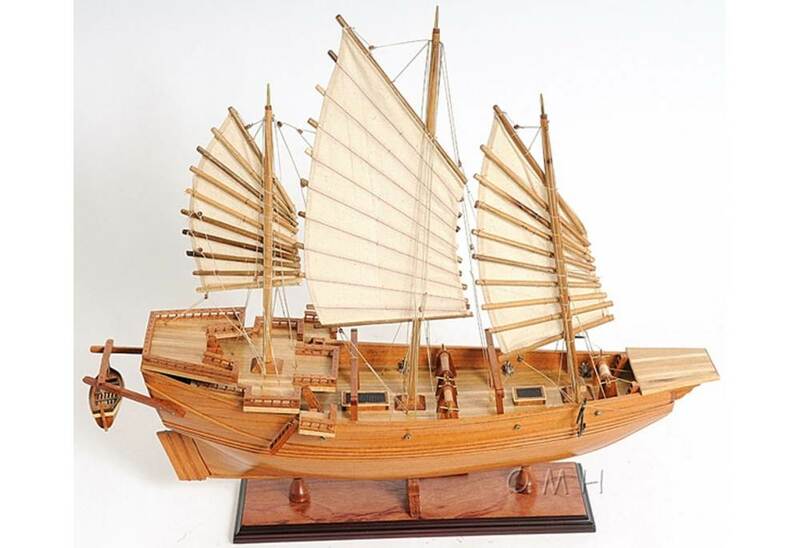 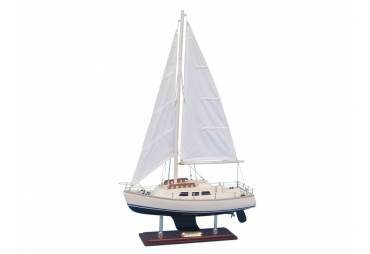 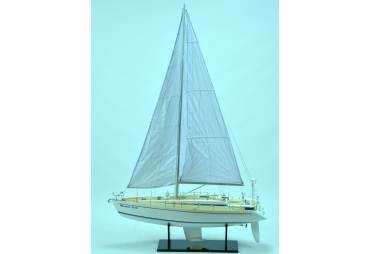 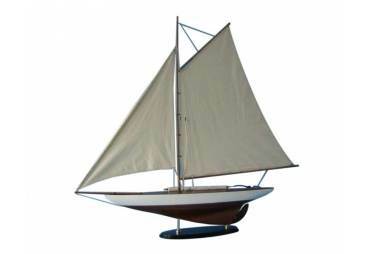 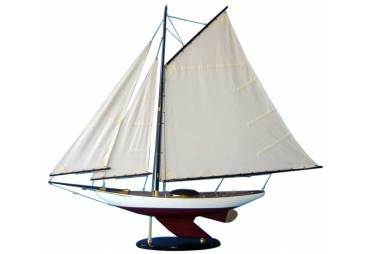 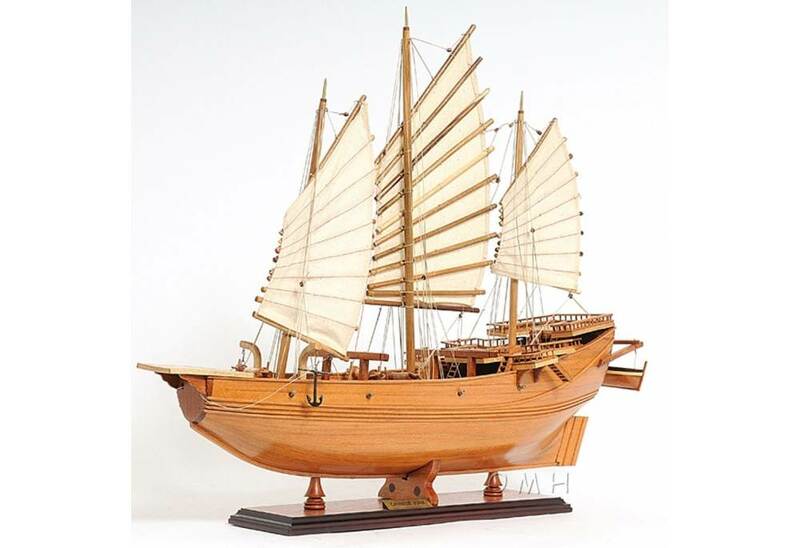 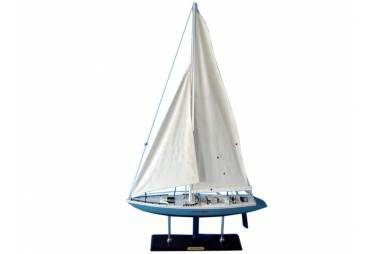 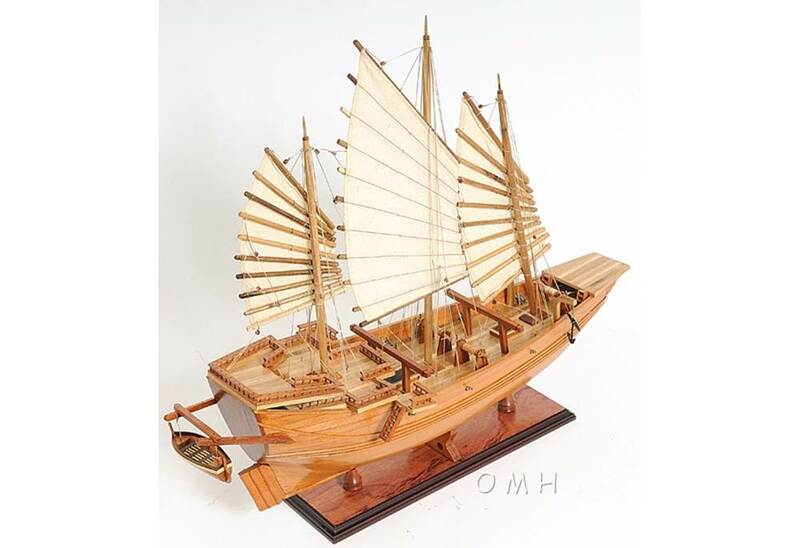 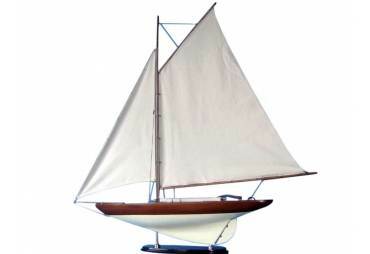 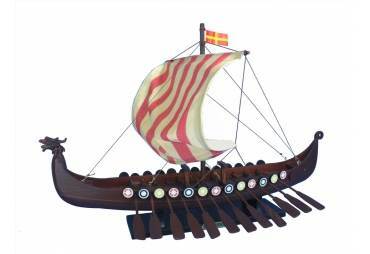 This 27-inch model is built with quality woods from scratch by master craftsmen using “plank on frame” construction, just like real ships. 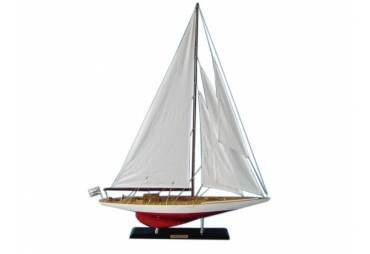 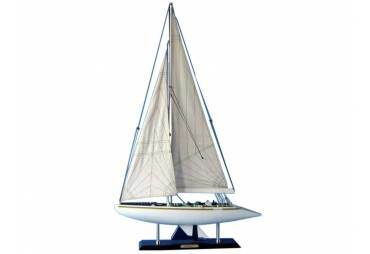 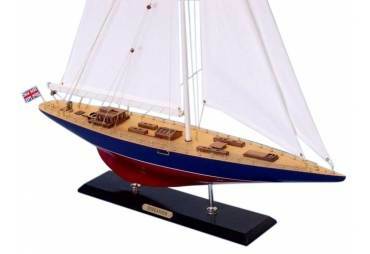 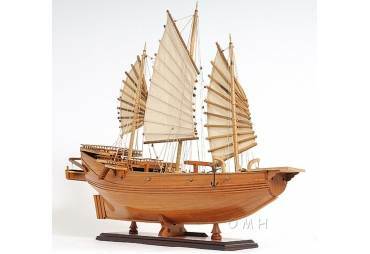 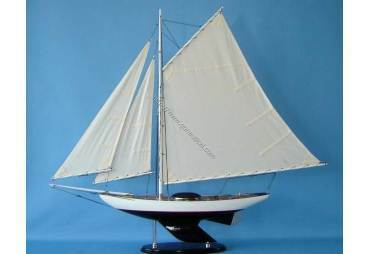 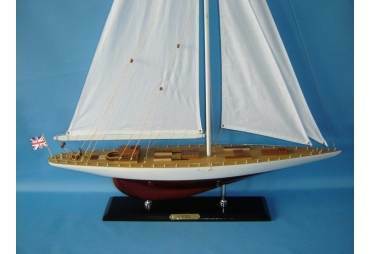 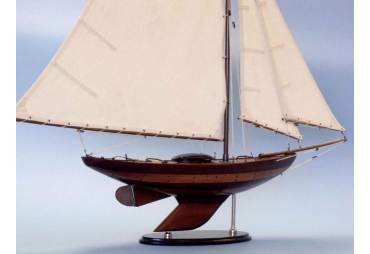 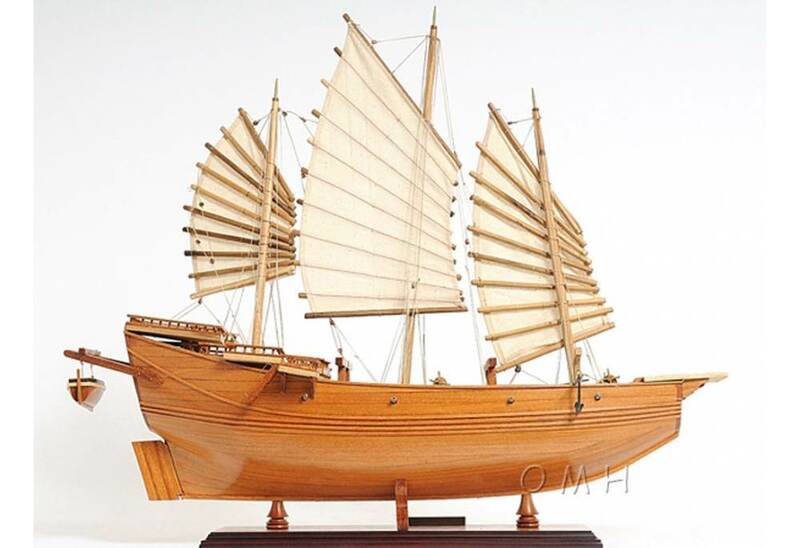 Superior craftsmanship, thank you, we love this boat model. 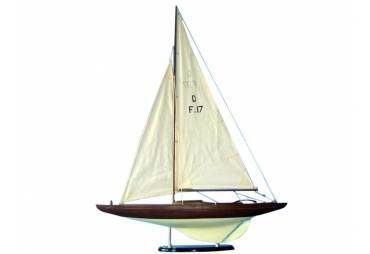 This 27-inch model is built with quality woods from scratch by master craftsmen using “plank on frame” construction, just like real ships. 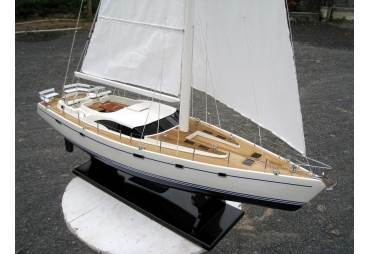 Each handcrafted model takes more than 50 hours to build. It was built through original ships plans, pictures and drawings. 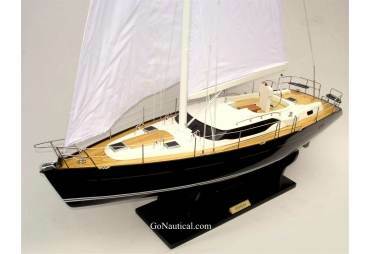 Strip by strip, small planks of mahogany and teak were put together and a smooth surface was created. 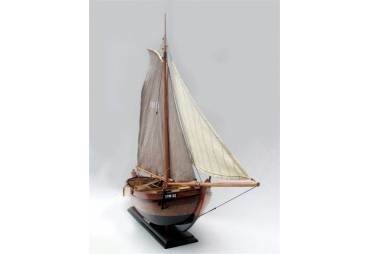 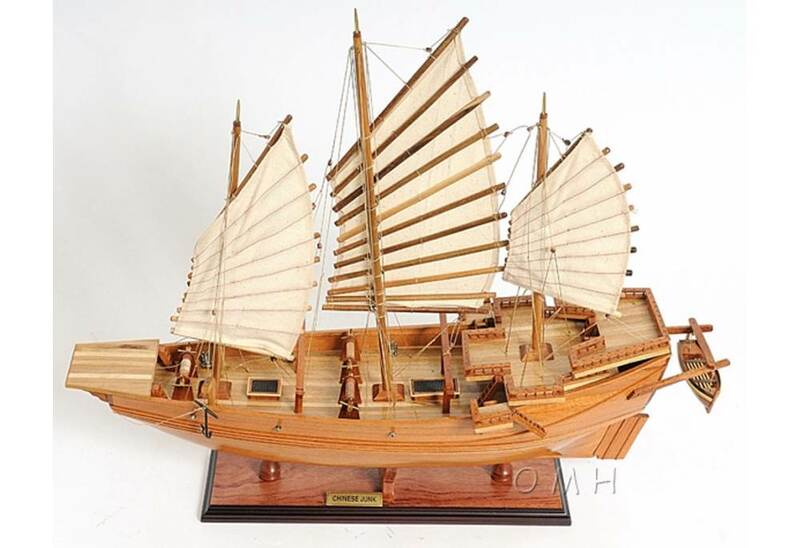 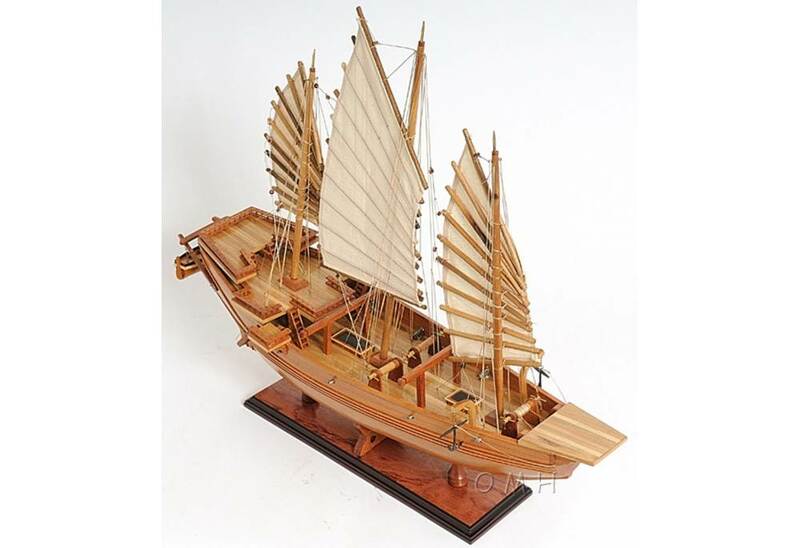 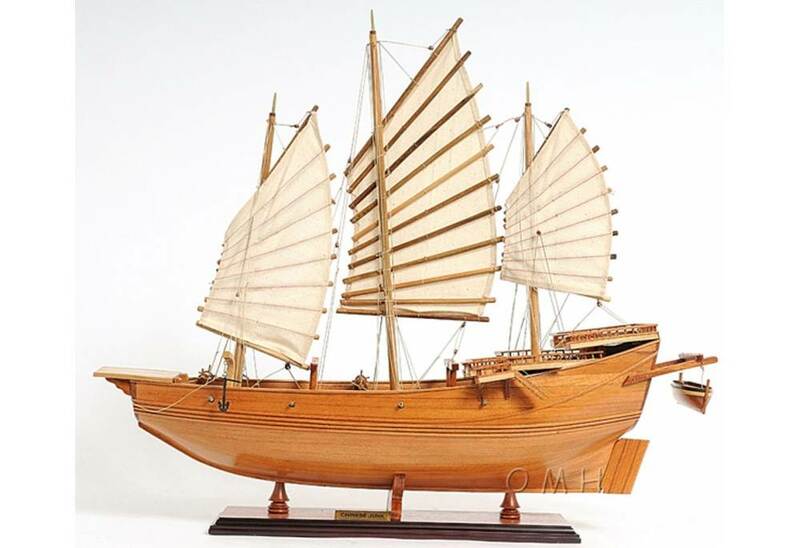 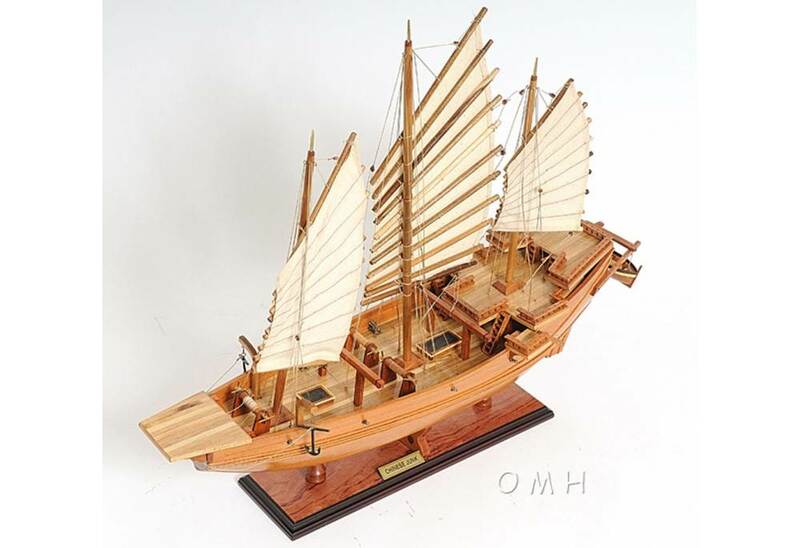 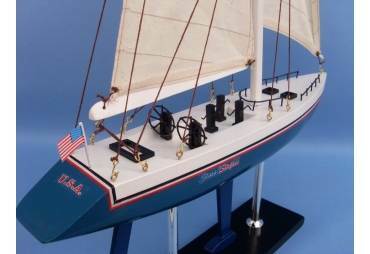 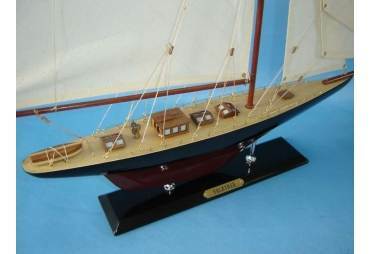 This model’s amazing details include: wooden front, main and mizzen masts, fabric sails with wooden frame, metal anker, brass canons, wooden life boat, detailed decking with wooden stairs and sky lights... Model comes with a sturdy wooden stand and metal nameplate. 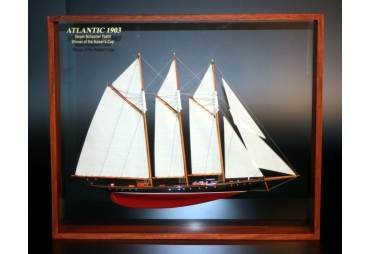 Absolutely no plastic parts!